All four members of Polish extreme metal band Decapitated were arrested early this morning (Saturday, September 9) following their show in Santa Ana, CA. According to The Spokesman-Review, the quartet is suspected of kidnapping a woman on August 31 in Spokane, Washington. A Spokane Police Department spokesperson told the aforementioned media outlet that a woman reported the alleged kidnapping to police on September 1. 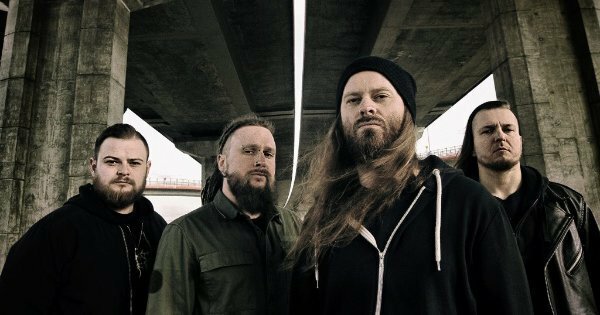 The woman reportedly attended Decapitated's concert with Thy Art Is Murder in downtown Spokane. The members of Decapitated — reported to be 27-year-old Michael M. Lysejko, 35-year-old Waclaw J. Kieltyka, 31-year-old Rafal T. Piotrowski and 30-year-old Hubert E. Wiecek — were arrested by the Los Angeles County Sheriff's Office and are in the Los Angeles County Jail awaiting extradition to Spokane. Additional charges also remain possible. UPDATE: The Spokesman-Review reports that the band has hired Spokane defense attorney Steve Graham, who had this to say: "There is another side to this. We have witnesses that can testify to the fact that the accuser came to visit (the) band of her own free will and left on good terms. I made it clear that I could get the guys up here ASAP and they would cooperate."